Dr. Jeffrey K Moore, MD is a Doctor primarily located in Evansville, IN. He has 39 years of experience. His specialties include Dermatology. He speaks English. The overall average patient rating of Dr. Jeffrey K Moore is Great. Dr. Jeffrey K Moore has been rated by 30 patients. From those 30 patients 10 of those left a comment along with their rating. The overall rating for Dr. Jeffrey K Moore is 3.6 of 5.0 stars. Very rude. Will never go back. I have been going to Dr. Moore for over 30 years and took both of my children to him. He is very serious about skin care, sun damage and its effect. He is very knowledgeable and knows what he is doing. He may not have time for chit-chat, but I trust him completely with any skin problems. When I had a skin cancer, it was treated swiftly and with a perfect outcome. He always answers my questions. I will never go back to Dr. Moore again. He wants you to schedule an appointment for each thing he does for you so he can charge you for more office calls. He is as rude as they come. He is unfriendly and has no personal skills. He is there to get in and get out. Staff was just as bad. I have gone to Dr. Moore for years...he may not be the chatty type but I think he is a very good Doctor. When I need a specialist, I want one who knows what they are doing even if he isn't the perfectly friendly person..he is very concerned and to the point. 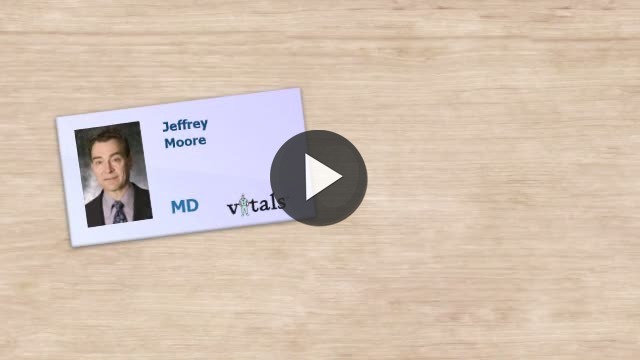 Take a minute to learn about Dr. Jeffrey K Moore, MD - Dermatology in Evansville, IN, in this video. Dr. Jeffrey K Moore is similar to the following 4 Doctors near Evansville, IN. Have you had a recent visit with Dr. Jeffrey K Moore? Select a star to let us know how it was.